This hole emphasises the statement made by a leading golf writer that Royal Porthcawl is a thinking man's golf course. With the wind off the sea, this has to be one of the finest finishing holes in golf. 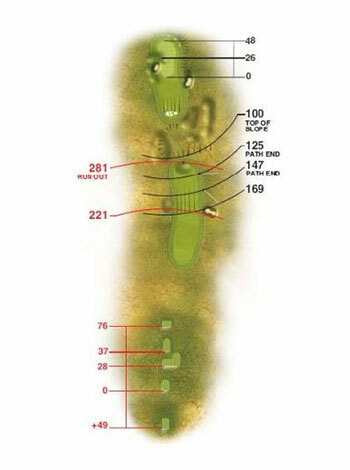 Club selection throughout this hole is critical. The second shot is played to a green running from front to back with magnificent rolls and undulations that require careful putting.